1 Bedroom Flat For Sale in Kenley for £275,000. Apartment 5 is a Type A, one bedroom apartment on the ground floor. The property faces the courtyard and offers a private terraced area accessed via doors to the lounge. The apartment comes with Porcelenosa kitchens with Neff and CDA appliances including induction hob and dishwasher, fridge freezer and oven. Porcelenosa timber flooring is fitted throughout the reception areas. Bathrooms feature Porcelenosa sanitaryware, tiled shelving and fitted mirrors. The properties benefit from gas central heating and Worcester Bosch boilers. 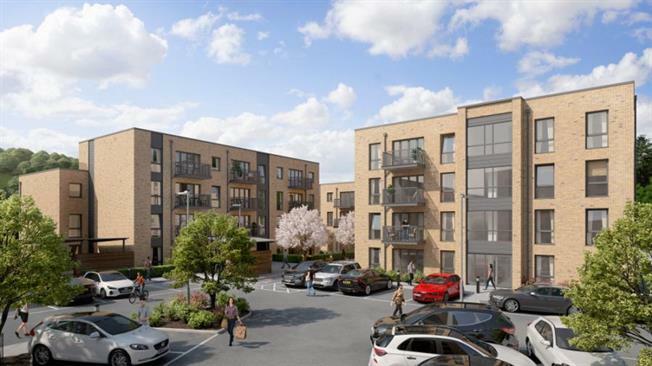 Ampersand Apartments is a development of 108 1 and 2 bedroom apartments, situated in Kenley within walking distance of Upper Warlingham and Whyteleafe stations. Kenley is a small town to the south of the borough of Croydon, it benefits from lots of open green spaces and great links out to the countryside, coast and back into London.